A beautifully landscaped executive 9-hole course is a short regulation course offers a variety of challenges and offers an excellent opportunity to brush up on your short game. 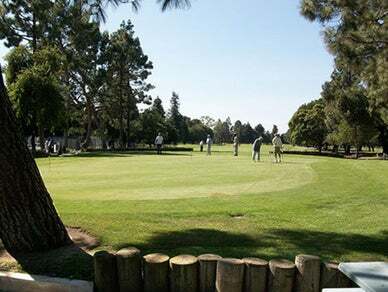 Penmar, because of it's proximity to Venice Beach provides a cool golfing experience during the hot summer months. Beginning 5/1 No more nonresident rates & no more higher Friday rates! New 8 minute intervals! New LOWER green fees at Hansen Dam & Woodley! Lots of construction going on at Griffith Park. New forward tees. Leveling existing tees. New cart paths. Exciting stuff! Wilson, Harding & Los Feliz golf courses are closed today.